Bad news for The Breaks. According to The Hollywood Reporter, BET has cancelled their plans for a second season of the TV show. The drama, which aired its first season on VH1, follows three young friends chasing their hip hop dreams in New York City in 1990. The cast includes Afton Willamson, Wood Harris, Mack Wilds, Antoine Harris, David Call, Evan Handler, Melonie Diaz, Sinqua Walls, and Ali Ahn. In April, we reported BET had renewed The Breaks for a second season. However, now it looks like that season is a no-go as BET has little room in their 2018-2019 schedule left after they recently picked up several other series. As of now, it’s unclear if another network will pick up season two of The Breaks. Though, it seems unlikely. What do you think? Have you seen The Breaks? Were you planning on watching season two? More about: BET TV shows: canceled or renewed?, The Breaks, The Breaks: canceled or renewed? American Soul: Is the BET TV Series Cancelled or Renewed for Season Two? 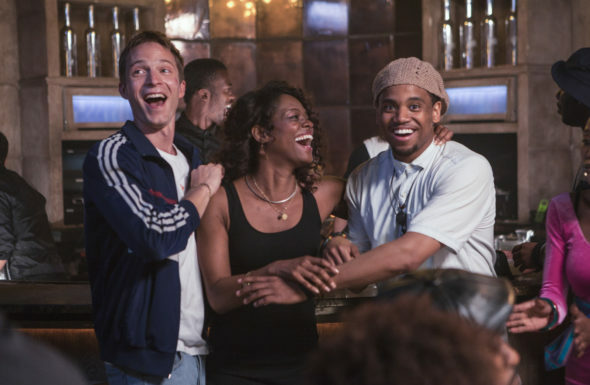 The Breaks: Is the VH1 TV Show Cancelled or Renewed for Season Two?